The Villages® Community is quickly growing with lots of activities you wouldn’t think this sunny little retirement community would provide. Places like the Spanish Springs Town Square provide nightly live music and food that everyone can enjoy. One of the perk’s that brings the equestrian excitement to the area is the year round sunshine! However, we understand how that sunshine can easily turn on comfort and homes. That is why customers in The Villages ® Community value having a retractable awning on their home to get through the hottest of days. Authority Home Solution’s SunSetter® retractable awnings provide relief all year long. Start enjoying your days outside and protect your family, pets, and plants from harmful UV rays. 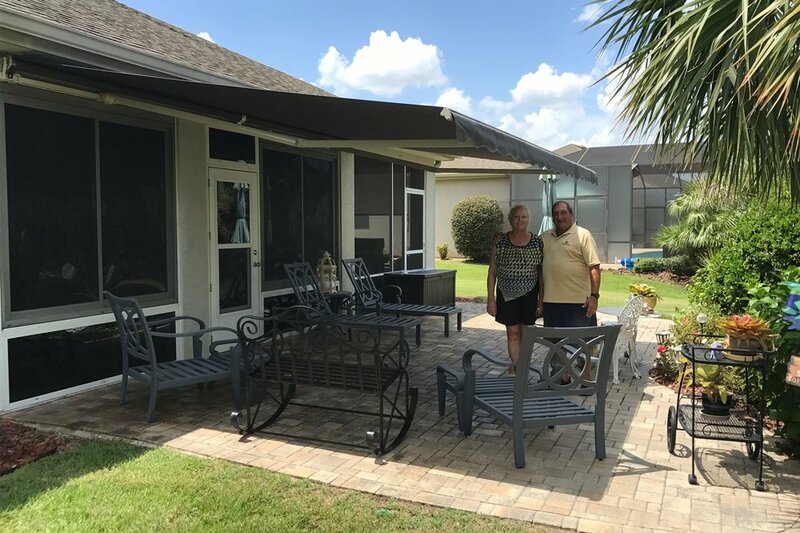 Our customized awnings can help cool your deck or patio 20—40 degrees during the summer months in The Villages ® Community. 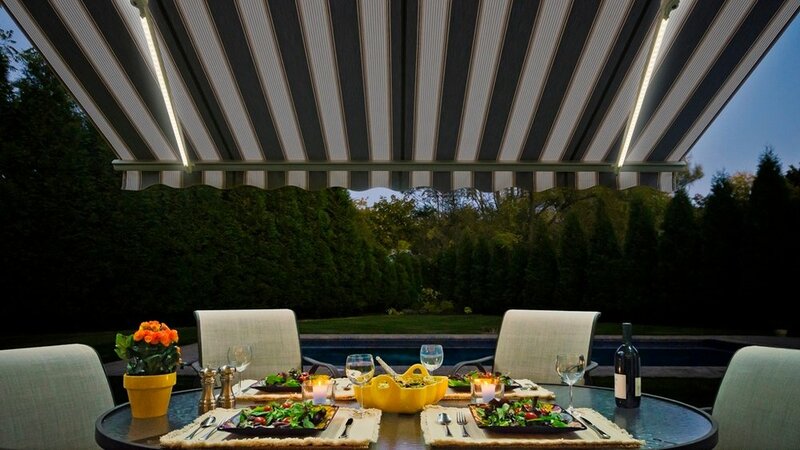 Now that you’re going to save all that money after installing a stylish retractable awning from Authority Home Solutions, you can now enjoy more of the place you live in. The Villages Community ® has a number of excellent places to visit with family and friends. Love American history? Check out the Eisenhower Regional Recreation Center. There is nightly musical entertainment at that Spanish Springs Town Square. Catch a play at The Studio Theatre At Tierra Del Sol. Play a few rounds of golf at the new Marsh View Pitch & Putt golf course. Installing a retractable awnings can be one of the best decisions you can make to upgrade your home in The Villages® Community. Start enjoying the benefits and savings today!